When Tony and I celebrated our anniversary in Las Vegas last month, we dined with Food Network Stars Giada & Bobby Flay. Well, not actually in person, but we did eat at their restaurants and had fabulous meals and experiences at both. 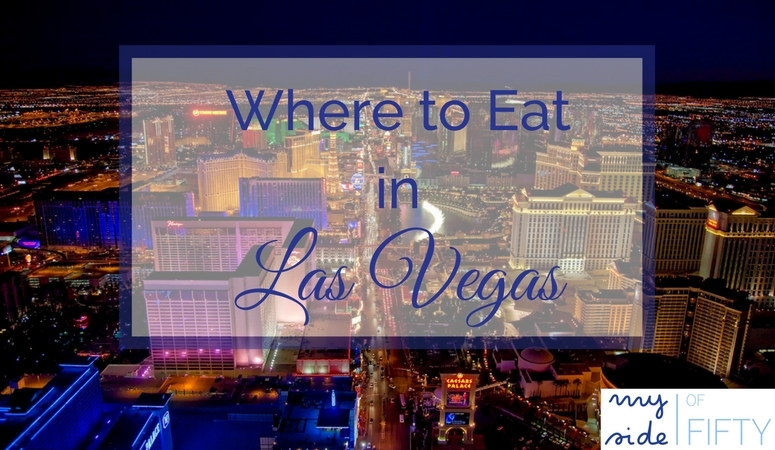 Here are reviews of two of our favorite Las Vegas Restaurants. 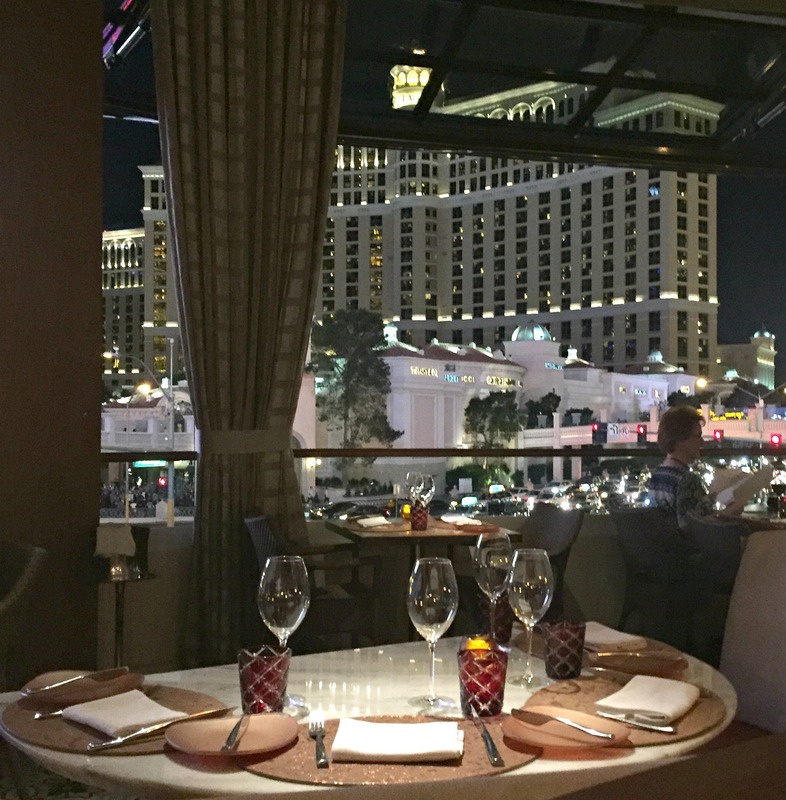 Located at the top of The Cromwell on the Las Vegas Strip, Giada at The Cromwell features a large open dining room with these huge retractable windows. We were there on a mild spring evening, and the windows were open, providing a cool breeze and lovely view of Las Vegas at night. Talk about ambience! 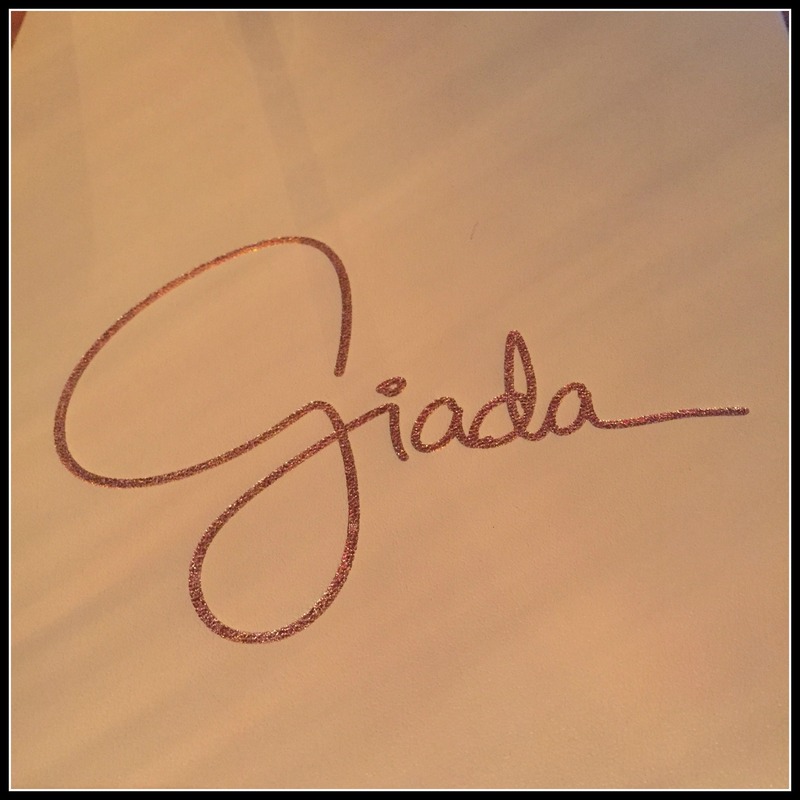 Giada’s features traditional Italian dishes as well as some lighter options. While I opted for the Branzino with tangerine vinaigrette, Tony had a traditional pasta dish with Sweet Corn and Spicy Sausage on the side. The Branzino was fresh and cooked to perfection. But when I had a taste of the Sweet Corn & Spicy Sausage, I thought I had died and gone to Heaven. Fabulous and like nothing I had ever tasted before – sweet, spicy and creamy all at the same time. YUM! For dessert, we enjoyed their fresh strawberry gelato that they make in house. It tasted more like fresh strawberries than fresh strawberries do! Very refreshing after a big dinner. 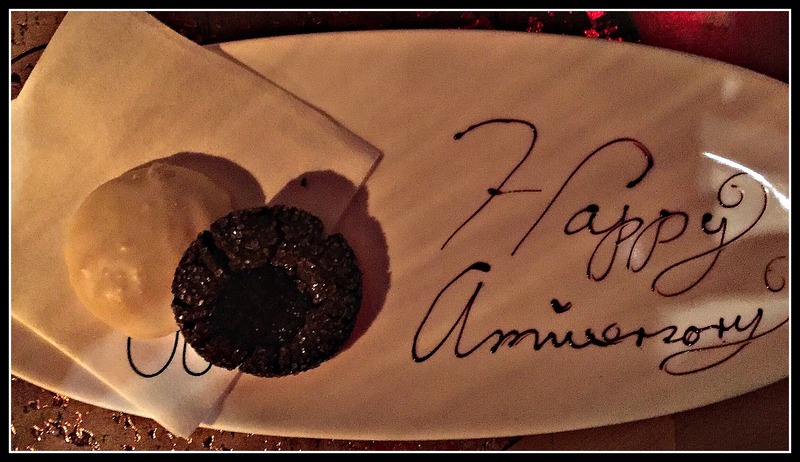 And since we told them it was our anniversary, they served us this beautiful complimentary plate of Giada’s cookies. A lovely end to a lovely meal. The following night, we had tickets to Elton John who was playing at Caesar’s, so we tried Bobby Flay’s Mesa Grill in that same location. 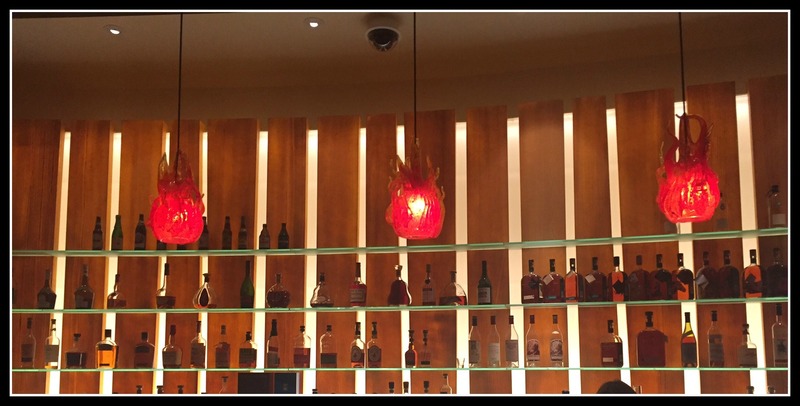 When we walked in, I was struck by the colors of the Southwest that made this restaurant so warm and inviting. The bar features an extensive margarita menu, as one might expect. Tequila is not my friend, but the Prickly Pear and White Peach Margaritas sounded so good! All their tequilas are 100% Blue Agave Tequilas. If you like fine Kentucky Whiskey, the menu includes 10-23 year old bourbons from Old Rip Van Winkle and Willet Distilleries. As we enjoyed our cocktails, they brought a basket of bread that included these corn muffins with peppers that just melted in your mouth. I can’t even begin to describe the moist, delectable texture of these muffins. There were crumbs all over the table after I ate them, but who cares? I was on vacation. 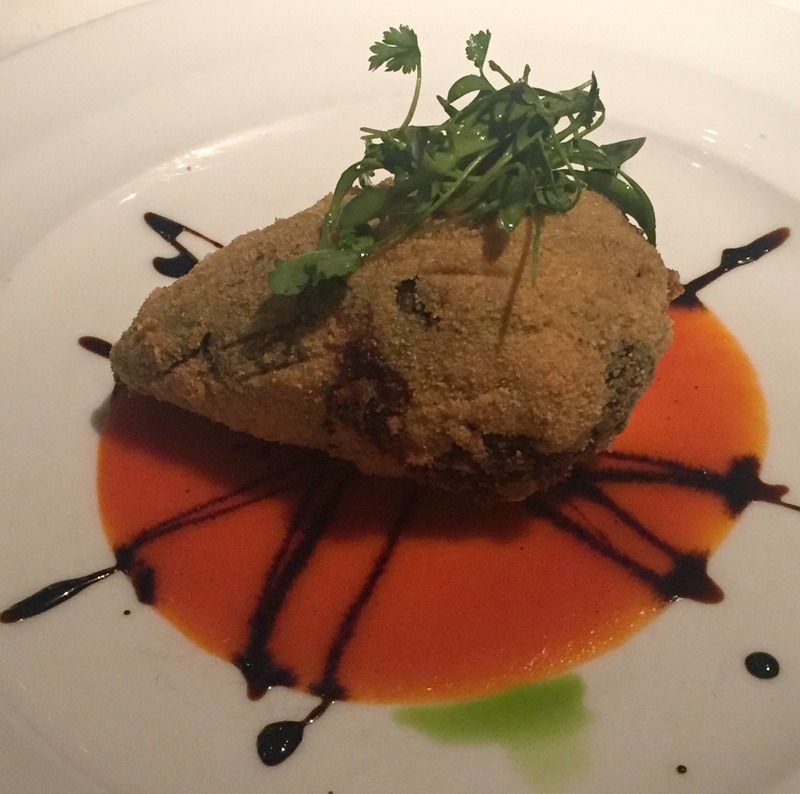 I wanted to try a typically Southwestern dish, since that is what Bobby Flay is known for, so I had the Cornmeal Crusted Chili Relleno. It was stuffed with roasted eggplant and manchego cheese and topped with a sweet red pepper sauce and balsamic vinegar. Lovely and delicious. For dessert, we split an order of Churros that were dusted in cinnamon sugar and star Anise with two dipping sauces – dark chocolate and coconut Dulce de Leche. ROLL ME OUTTA THERE! They were so good. I made reservations about a week ahead of time, and even then there were few choices of times at either restaurant. I would recommend making reservations a couple of weeks in advance, especially if you are trying to coordinate getting to a show the same evening. 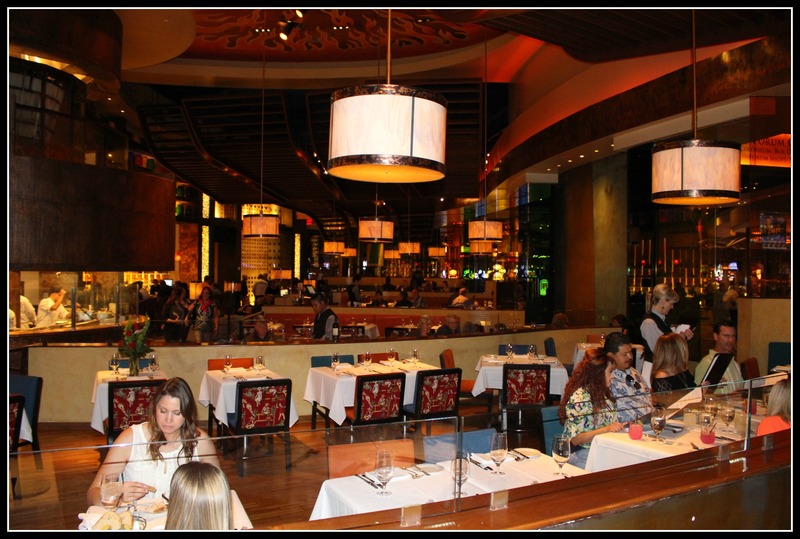 Giada at The Cromwell and Bobby Flay’s Mesa Grill – two great places to eat when you are in Las Vegas! Need some inspiration for your midlife journey? Subscribe to My Side of 50 and get an e-mail every week with content that will entertain, educate and inspire you on your midlife journey! PLUS subscriber-only bonuses and discounts to your favorite retailers! Thanks for subscribing! Just one more step. Check your e-mail to confirm your subscription and you are ready to go! Cathy Lawdanski is a 50 something writer who is learning to be brave and try new things. She writes about topics that resonate with midlife women - aging parents, adult children, grandchildren, travel, books, food, entertainment, retirement and whatever new adventure she is on! YUMMMMMMMMMMMMMMMM! 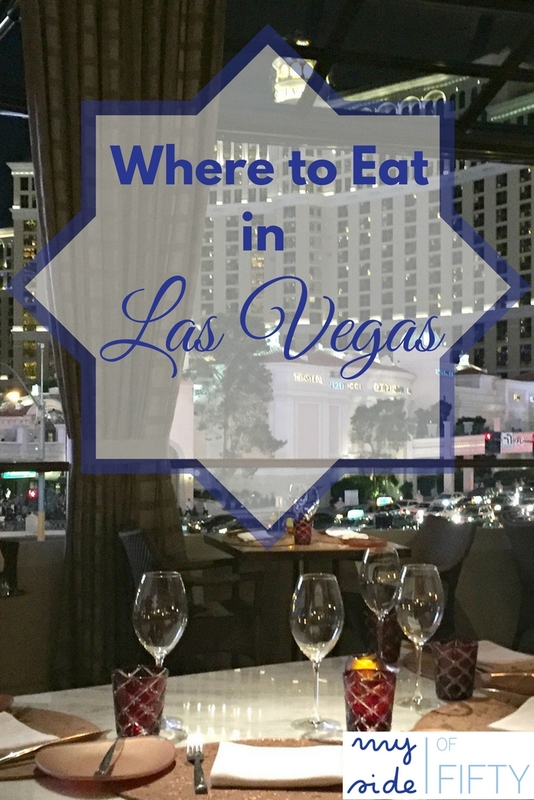 I am def going to book one of these restaurants on our next trip to Vegas. 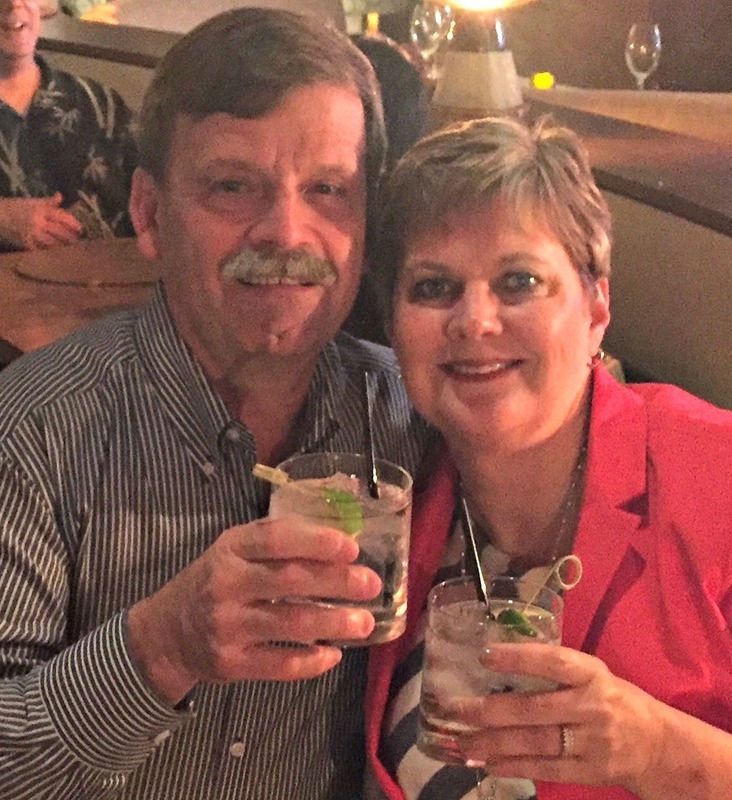 Thanks for sharing your anniversary with us! How was the concert??? Love love love Elton John…………..
Elton John was as good as he was the first time I saw him in 1975! Fabulous show. We also saw Michael Jackson One. That was really good too! This made me hungry! What a great way to celebrate! We had such a good time. I’d eat at both places again! Fun and oh so delicious! It all looks wonderfully yummy. Makes me want to get in my car and drive there. Glad you had so much fun. What a wonderful way to celebrate – sounds fantastic and yummy! Wow! Both places look and sound wonderful! I have yet to make it to Las Vegas, but these will go on our must try list!! Put them on your list – they are super! So happy you were able to enjoy all of these things in Vegas! Happy Anniversary! 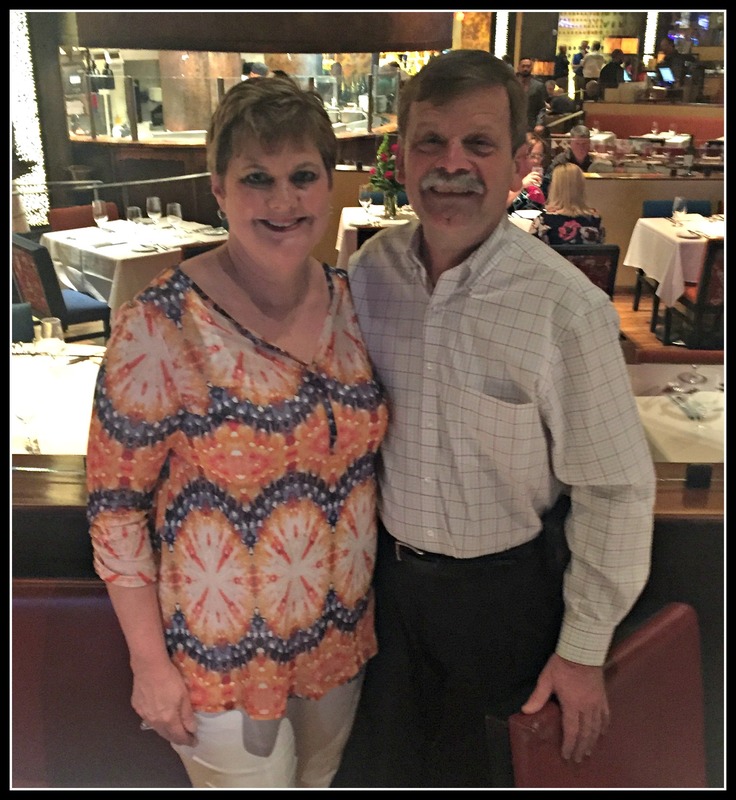 We did – and got SO FULL, but had a great time and were not disappointed! What a lovely experience and an anniversary to remember. It looks so lovely and the food looks delicious. I think the atmosphere of a place adds as much to the experience as the good food does. Congratulations on the anniversary. You are right – when you walk into a lovely place, it just sets the mood for a special evening. We had a great time! Thanks for reading and commenting, Kathleen! This is so great. I have no desire to go to Vegas for the gambling, but I’d so be there for amazing restaurants and luxurious hotel rooms! Thanks for sharing with Small Victories Sunday Linkup. Pinning to our linkup board and hope you found some great posts to visit this week! We don’t like to gamble either, but the restaurants and shows in Las Vegas were great! I am so envious! I love trying new and different restaurants, especially those of a television/chef. Both of these look like a great place to dine and the food looks so incredible. I love the ambiance in both, and so fun that you got to try both of them in the same trip. Happy Anniversary! I can still remember those meals. Great food & fun! I haven’t been to their restaurants but I have one of Giada’s cookbooks and I’ve seen Bobby on the Food Network. I usually can’t afford to dine at celebrity restaurants! It was fun to dine at restaurants that celebrities owned. But I didn’t see either Giada or Bobby! Thanks for reading and commenting! Sounds like you had a wonderful anniversary and your dinners were mouth watering. It has been a long time since I have been in Vegas. need to make a visit. They were great restaurants and we had several days of anniversary meals! Really fun! Maybe someday, Celeste. It sure wasn’t on our list until our kids were grown, out of college and married. Great trip.